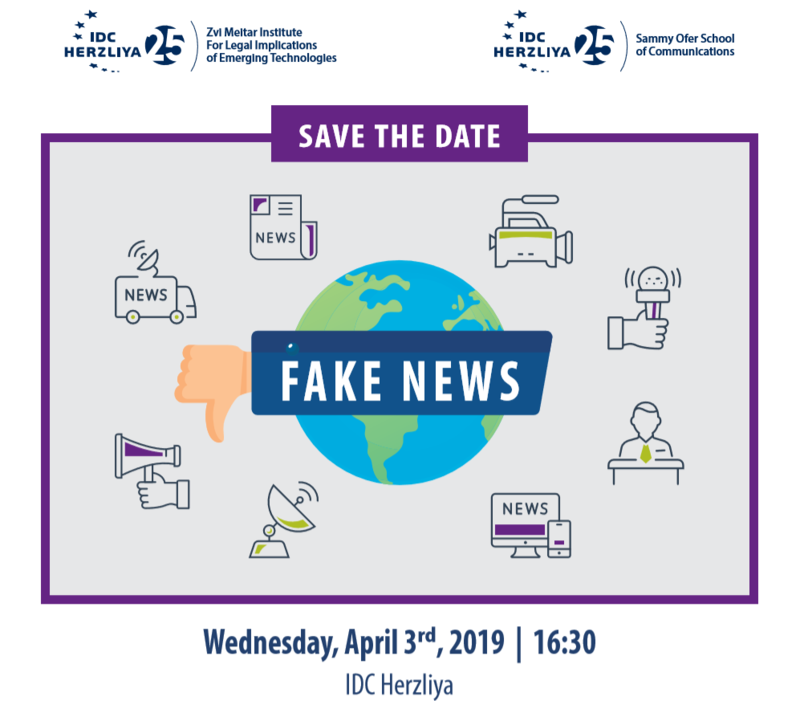 This conference at IDC Herzliya will deal with the intersection of technology and law and possible solutions to fake news, deep fake and cyber attacks, and how we can educate the public about these issues. Speakers from various industry players in the field of technology (social bots, cybersecurity and AI/deep fakers), along with government representatives (e.g Haim Vismonski of the Israeli National Cyber Directorate), law professionals (Nimrod Kozlovsky of Herzog, Fox & Neeman) and academic experts representing issues relating to social media and fake news will be present. Israel Tech Policy Institute Director Limor Shmerling Magazanik and Prof. Karin Nahon and Dr. Tehilla Shwartz Altshuler of the Israeli Democracy Institute are also confirmed speakers.